Bring on the playoffs! | ENTOURAGE BASKETBALL INC.
A two week game delay by the league did little to dull team E.B.I’s killer instinct as they closed out the regular season with a strong defensive demonstration against the Booze. With two of the team’s topscorers unavailable, interim coach Dave relied on EntourageBBall’s main strength to secure the regular season finale: suffocating defense. Defensive rotations, tactics and variations were drilled extensively during the last few practices, seeing as the Crossover League management had to postpone game 10 of the season two weeks past the original match date. The foundation for the win was laid in the first quarter as E.B.I. raced out to a 15:5 lead early. There was no sign of rust, even though the previous practices had not been very well attended, work and social obligations have been particularly demanding on the E.B.I. roster this season. The result however, was never in doubt, the 7-man Booze squad managed just 12 points by halftime, underscoring their status as the weakest team in the league this season. 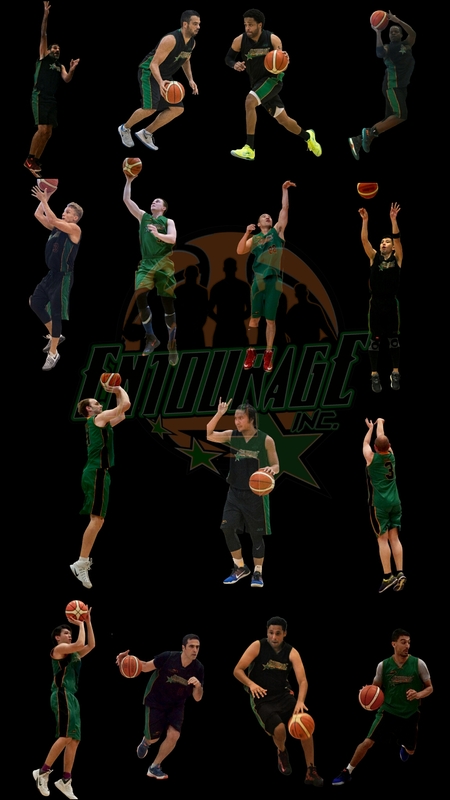 Entourage Basktball Inc. utilised the last two quarters to work on execution on both ends of the court, getting players to shake off any rust (Dave and Jean Baptiste had not played in a while) and just enjoying playing together. Thus ended another successful regular season, a 9-1 record following the unbeaten record last season. Now the fun begins: Crossover League playoffs. E.B.I. is slated to face Red Leon in the quarterfinals this weekend and even though the japanese team was soundly defeated on both occasions this season, the playoffs are where expectations go to die. The reigning champs are not the clear-cut favourite to repeat either, this distinction is held by the 10-0 Yong Seng team, a team assembled specifically to challenge the champs this season and the only club to defeat E.B.I in a contentious game this March.